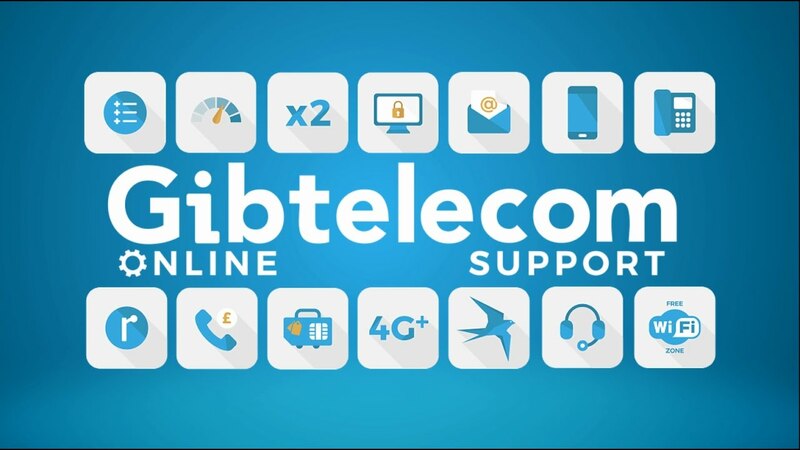 Alternatively here is a step by step guide to connecting your Gibtelecom broadband gateway. Your broadband needs to be connected by Gibtelecom before you plug in the Gateway. Our engineers will inform you once the necessary works have been completed. Fibre broadband works best when its connected to the main telephone point in the house. Extensions and poor internal wiring may affect the quality of your connection. If you are going to connect mainly via Wi-Fi try to place your gateway close to where you’ll be using the internet the most as thick walls and floors and large metal surfaces can weaken the signal. Also avoid putting it under or behind large objects or placing things on top of it as your gateway can overheat if air cannot flow around it. We recommend that you leave your gateway switched on all the time, even if you are not using it. If you only have one telephone point for this phone line then plug the microfilter from the box into the telephone socket. You can then plug the phone back into the phone socket of the microfilter. If you need a replacement microfilter they are available to purchase from Gibtelecom’s Customer Service Centre. If you have multiple telephone points for this phone line then, a single centralised splitter (that’s a socket which splits the line into two) must be installed by Gibtelecom’s engineers, ideally in the first point in the house. The Gateway must be connected to this point. All other points do not require splitters. Plug the power supply into both the back of the Gateway and into the wall socket nearest the telephone point. Connect one end of the DSL cable, that’s the white once with small grey connectors, to the grey DSL port at the back of the Gateway and the other end into the DSL port on the microfilter or centralised splitter. If you have a fixed line telephone connect it to the phone port on the microfilter or centralised splitter. Press the power button on the back of the Gateway to start the device. The power LED light on your gateway should turn green. The broadband light will flash and then turn a solid green. This could take a few minutes. If the broadband light is not green or continues to blink it could mean that your connection is not completed yet. Please call Gibtelecom if you have any issues. If you want a physical line connection to your device , which may provide you with faster connection speeds, connect one end of the Ethernet cable – that’s the white cable with yellow connectors - to port 1 on the Gateway and the other to the Ethernet port on your device. Once connected, the Ethernet LED light on the front of your Gateway should turn green. To connect via Wi-Fi you need to enable Wi-Fi on your device. Your device will now search for an SSID - this is a network identifier which will be displayed on the network name sticker on your gateway e.g. TNCAP1CDBCF. Select the SSID belonging to your Gateway and enter the password which is also provided on the sticker. Wait for the device to connect which should take less than a minute. Once connected the Wireless LED light on the front of your Gateway should blink. This will now open the Gibtelecom Broadband Gateway management page where you are able to customise your router setup, change the network name and make changes to your setup. If you have any issues with any of the steps above call our Freephone internet helpline on 192.